Work with parents and their children with Autism aged 0-13 years. CAOT provide home visits to help parent/carers with advice and strategies within the home, new skills to support their child and access to other suitable resources. They facilitate the NAS Early Bird training programme and also provide activities/clubs/coffee mornings with expert support and advice. This group is for those with Aspergers syndrome or who care for someone with Aspergers, they can attend to share information and meet with like-minded people. They meet on the first Wednesday of each month at 7.30 p.m. at the United Reform Church in West Street Bridgwater. Its purpose is to share facts and information, to socialise and to visit places of interest. Members are a mixture of adults with Aspergers and those who care for them either professional, family or friends. For more information phone Steve Atkinson on 0774 712 7334. 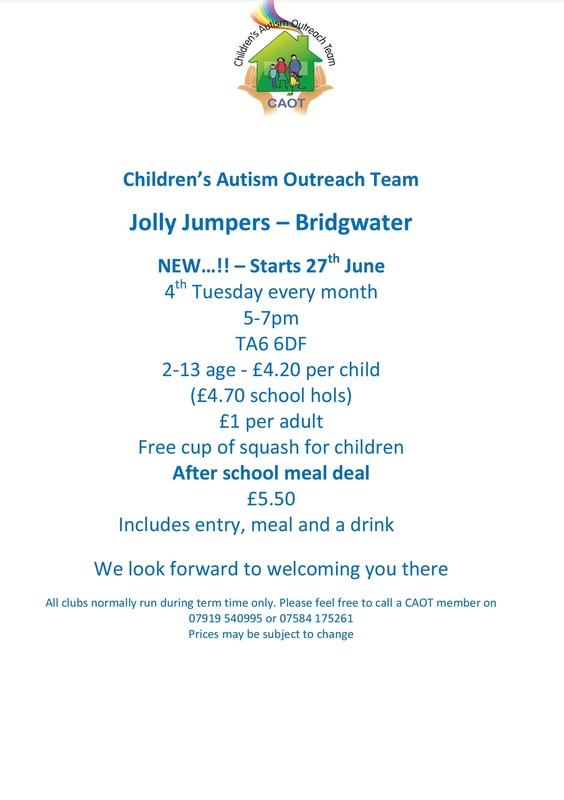 ESCAPE Support Group aim to extend opportunities and support to families of special needs children, within Somerset. They bring the whole family unit together to spend quality time in relaxed surroundings. Their activities boost morale, increase confidence, improve social skills, decrease behavioural difficulties and develop and strengthen friendships. For a small membership fee you recieve regular updates of events and activities that they are holding and become a part of the larger family of members. This group truly is something every family should be a part of. The Finding Your Way - support groups, are a network of support groups in Somerset, for parent carers to relate, to have your voice heard, find information or signposting and to have a moment to be you! 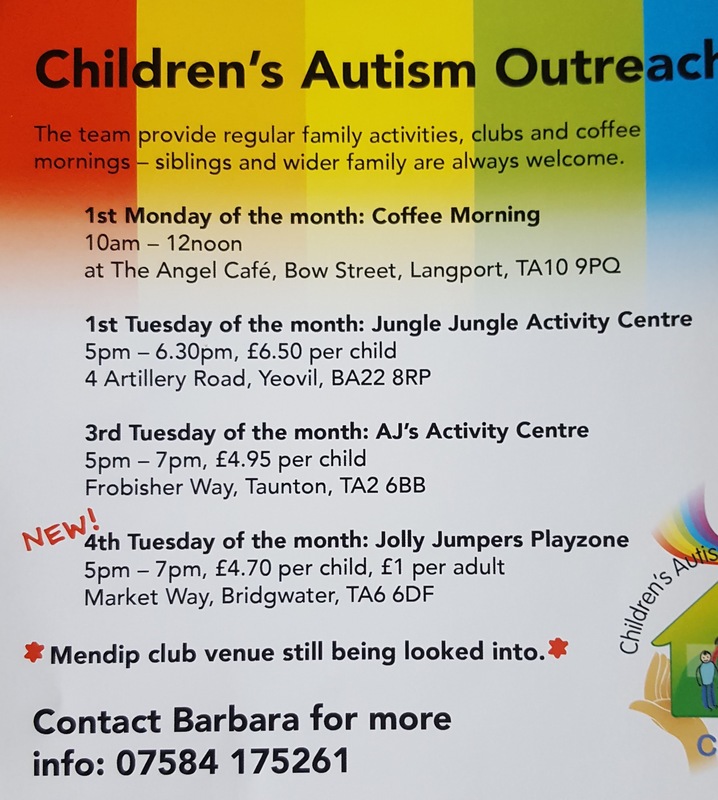 The Taunton Autism Support Group is for parent carers of children and young people with ASC and related conditions.